Come enjoy a delicious free pancake breakfast with all the fixins' in the Downtown City Park. Tickets can be found at any of the downtown merchants. 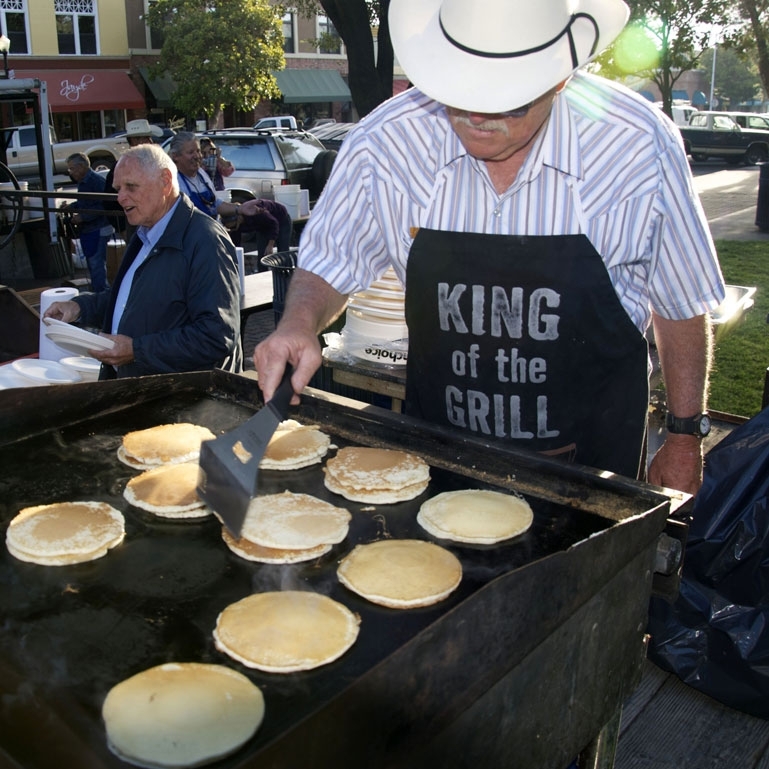 The Annual Pancake Breakfast is one of the highlighted events of the fair that is held off grounds in Paso Robles City Park. The community comes together to enjoy pancakes, entertainment from Pacific Animal Productions, and rides around the park with either Cowboy Ken and his train or Harris Stage Lines. And, of course, the pancakes are FREE! Without the amazing volunteers and donors, this event would not be possible. Thank you to the California Mid-State Fair Board of Directors, Paso Robles Main Street Association Board of Directors, 4-H clubs, El Paso de Robles Grange #555, Estrella Grange, Cahoots Catering, Suburban Propane, Paso Robles Waste Disposal, the Gomer Family, Steve Cichorsky Sound, and Chester and Lester Rougeot for helping make every pancake breakfast more memorable.